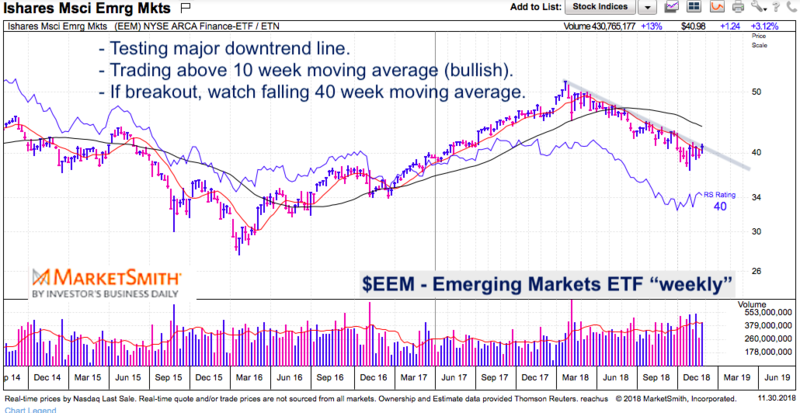 The Emerging Markets space (NYSEARCA: EEM) has been out of favor and in a multi-month downtrend throughout 2018. 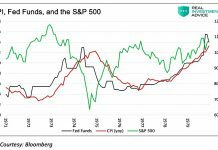 As the S&P 500 and other major U.S. stock market indices made new highs this fall, the Emerging Markets (EEM) continued to slide. This divergence perhaps tipped off the markets that a correction was a distinct possibility. But let’s stop talking about what happened, and let’s talk about what’s happening… or potentially what will happen. Note that the following MarketSmith charts are built with Investors Business Daily’s charting suite. 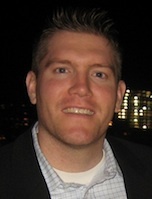 I am an Investors Business Daily (IBD) partner and promote the use of their products, such as Leaderboard. 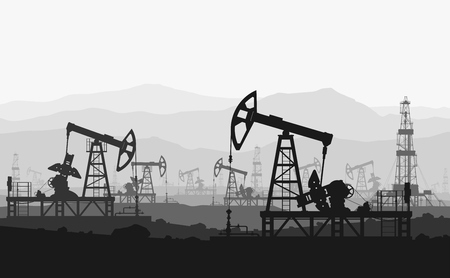 The entire platform offers a good mix of technical and fundamental data. 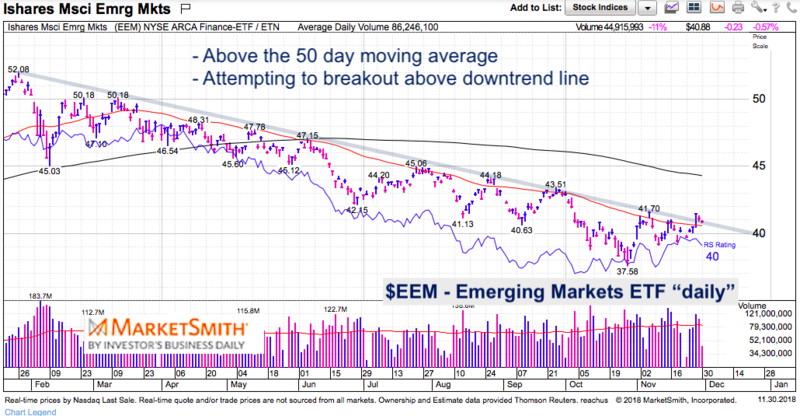 Back to Emerging Markets… $EEM price action is bullish of late, but needs a “trigger”. What do I mean? A good risk/reward trade typically has an event, such as a breakout, that traders use as a trigger to buy a stock, ETF, commodity/currency, etc… Let’s look at the Daily and Weekly charts to get a better idea of where the breakout line is. $EEM recorded an RSI (Relative Strength) divergence at the October lows (bullish). This gave the Emerging Markets a life line to construct a potential base and/or reversal. The ETF has rallied back above the 50 day moving average and is trying to break out above the downtrend line. Any breakout would likely dart to the 200 day moving average and $45 resistance area. On the weekly chart, we can see that $EEM is above the 10 week moving average for the first time in a while (bullish). A breakout over the downtrend line would initially target the falling 40 week moving average around $45.